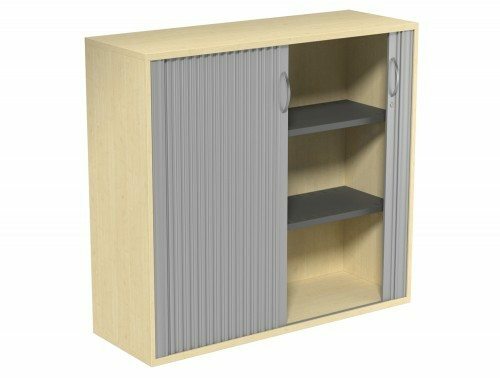 If you are looking to save space in your office, our range of tambour cabinets is the perfect solution for you. 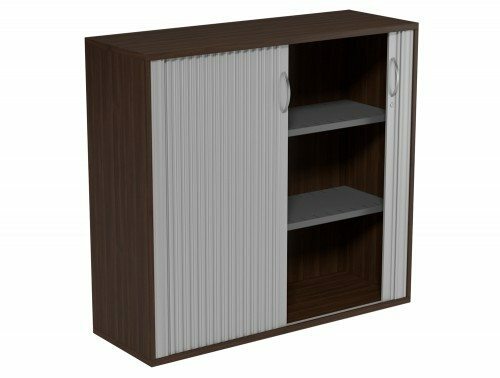 These storage units are an excellent space-saving storage solution as they feature tambour doors. 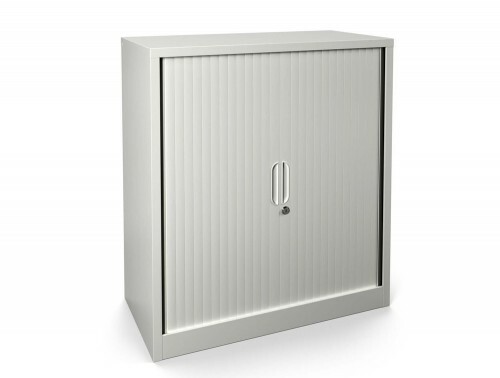 Tambour doors are side closing/opening doors made up of either plastic or metal strips that fully rolls out of the way allowing you full access to your storage cabinet. 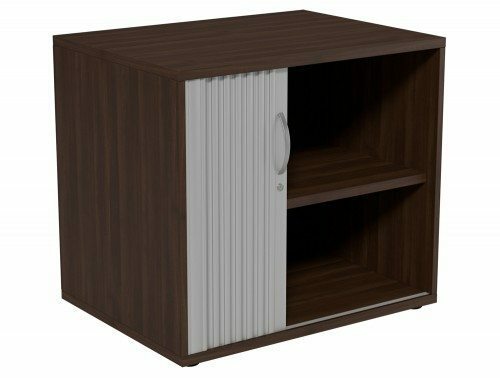 Tambour cabinets can be fitted into narrow locations and offer a sleek, streamlined look for your office. 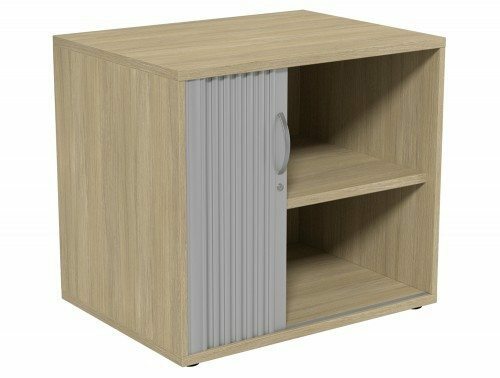 Tambour cupboards offer a real sense of style in the workplace. Their sliding door creates a thoroughly modern, contemporary look, which works excellently in any 21st-century business environment, including home offices. These storage units are excellent and highly suitable for a wide variety of tasks like storing files and folders to holding office stationary, helping you keep your office space neat and tidy. The tambour cupboards in our collection come in a wide range style and sizes. 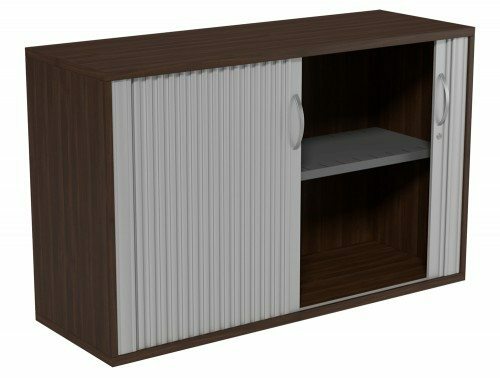 The units are offered in wooden and metal or steel finishes. A selection of popular wooden finishes is available including walnut, beech, maple and oak. The metal finishes on offer are white, silver black and grey. 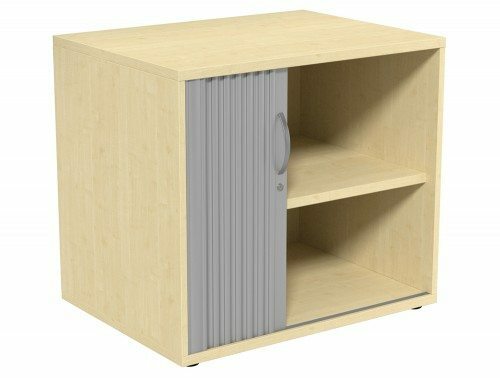 All our storage solutions come in a variety of size options, to help you stay neat and tidy in the workplace. 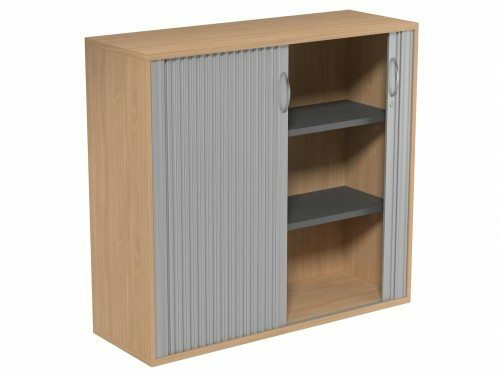 We have desk high tambour cupboards and tall vertical tambour cupboards for sale with up to 5 shelving levels. Furthermore, our range of tambour storage cupboards comes with a wide range of features such as adjustable shelves, secure lockable doors, roll-out filing, suspended files and filing (A4 binders). 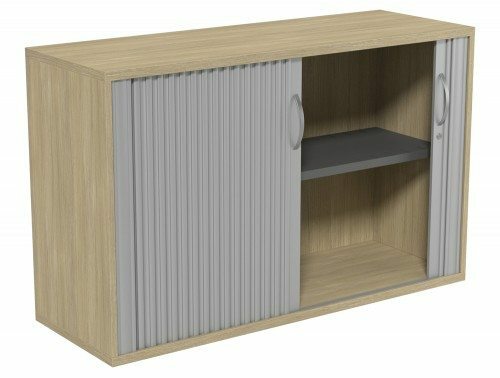 Radius Office Furniture’s range of tambour cupboards are not only visually appealing but designed using the highest quality materials, from some of the best-known brands in Europe, such as Bisley, Steelcase, Buronomic, Trexus, Vinco, and Ashford. Sourcing from these trusted suppliers helps us guarantee that you are getting high-quality furniture at an affordable price. 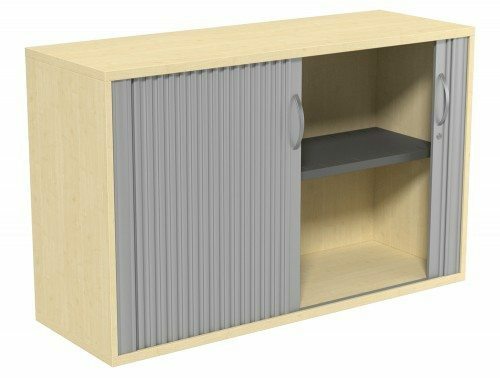 In addition to this, a selection of our tambour storage is offered with a warranty scheme, meaning its quality and functionality is guaranteed during that period of time. 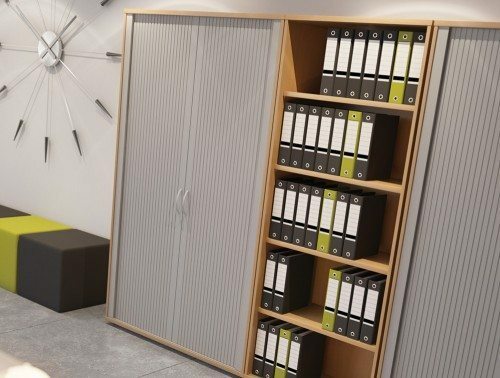 Our products have also been rigorously tested to ensure it is of the highest standard fit for use in either a home office or in a corporate office.